In the above hadith, a Jew or a Christian is a metaphor which means it is as good as the believer in Allah dies as a non-Muslim. Hajj is fard (mandatory) upon every sane, adult and healthy Muslim, when he has sufficient wealth to enable him to travel to and from the Ka‘bah. This will apply when the wealth required to take him is in excess of his needs (such as house, transport, clothing, etc.). He also needs to have sufficient wealth to leave behind for the needs of those who are dependent on him. Furthermore, the journey needs to be a safe one and a woman must travel with a mahram. As can be understood from the great virtues and stern warnings above, a person upon whom hajj is fard should endeavor to perform hajj at the earliest possible opportunity. In simple words - this year! Abu Hurayrah (a.s.) narrated that the Prophet was asked, "Which deed is the best?" The Prophet said, "Belief in Allah and His Messenger." He was asked again, "What is next?" The Prophet (pbuh) said, "Jihad (striving) in the cause of Allah." He was further asked, "And what is next?" He (pbuh) said, "Hajj mabrur." 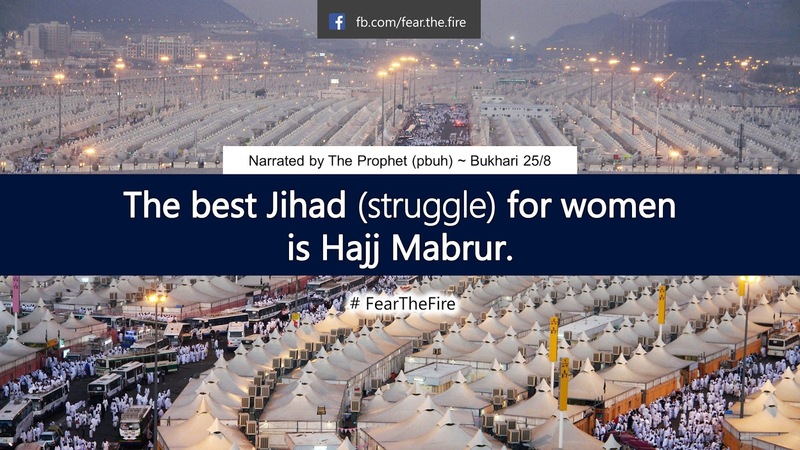 ~ Bukhari 25/7 ... Hajj mabrur means hajj which is accepted by Almighty Allah. 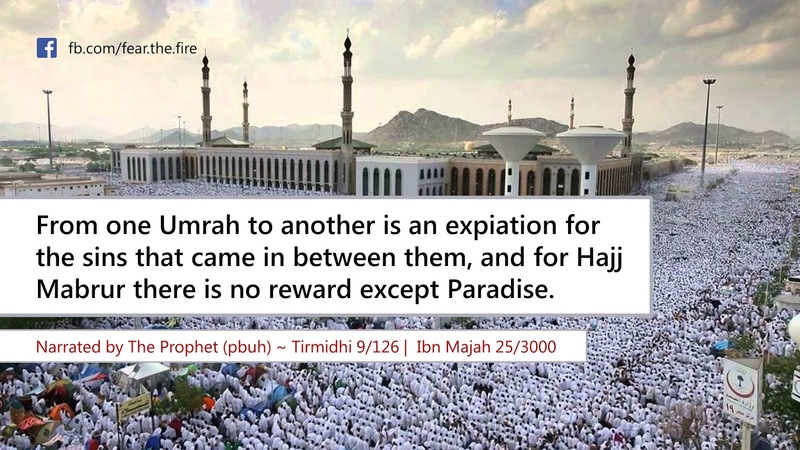 Umar bin Al-Khattab (r.a), the 3rd Khalifah of Islam, once remarked: “I was about to send envoys to the towns (on the outskirts of the Muslim empire) to check on all those who have the means to make Hajj but do not perform it, in order to impose the Jizyah (tax) upon them." ~ Al-Bayhaqi. In another narration the words “they are not Muslims, they are not Muslims” are included. Many people have enough wealth for them to go for hajj, but they wait to accrue enough wealth so that their spouse can also accompany them. If the husband has enough wealth then he should go for hajj immediately. And if the wife has enough wealth, and she has other mahārim with whom she can go for hajj, then she should go immediately too. The Sharīah (Islamic law) does not give either permission to postpone the hajj and wait for the other. 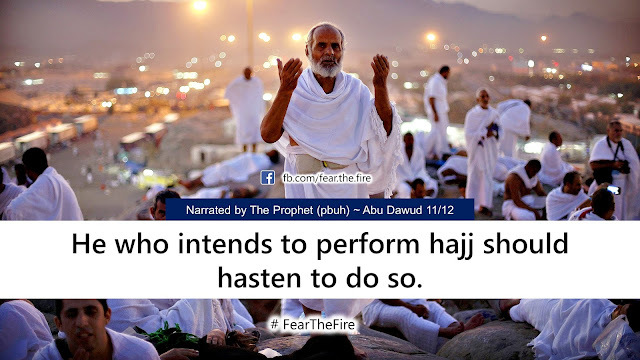 Many people think that it is necessary that they make arrangements for their parents to perform hajj before they do. This too is incorrect in light of the Sharīah. Undoubtedly, to make one’s parents perform hajj is a great virtue and honour; however, if hajj is not fard on the parents, but it is fard upon the children, then they should not concern themselves with their parents' hajj at this moment and fulfill their own obligation. It is possible that in the children waiting for the parents – or in the case of the husband waiting for the wife or vice versa – the one upon whom hajj is fard passes away and is questioned by Allah for its non-fulfillment. Some believe that if their children have reached a marriageable age and are not yet married, then the parents cannot perform hajj until the children are married. This too has no basis whatsoever in the Sharī‘ah. Some delay in travelling as they have small children at home. Once hajj becomes fard, they should seek suitable relatives, friends, etc. who can look after their children whilst they go for hajj; and they need not travel for long due to their circumstance and situation. Some delay their hajj as they think it is better to perform it in their old age closer to their death! This is a fallacy as they have no guarantee for how long they will live, and this idea is in complete contrast to the command of the Prophet (pbuh) to perform hajj at the earliest opportunity. Some delay performing the hajj as they only obtain a set number of days off work, and they postpone their journey hoping that they may get more days off next year and can spend more time in the Grand Masjid of Makkah. This too is not a valid reason to postpone the hajj. They should go and spend whatever time they have available and absolve themselves of the obligation of hajj. Some delay the hajj, as they cannot afford to buy gifts for people, thus deferring their obligation until they have enough money that they can buy gifts for their loved and dear ones. This again is not a valid excuse. Some delay in going for hajj as they cannot afford the ‘five star’, ‘deluxe’ or ‘golden’ package. 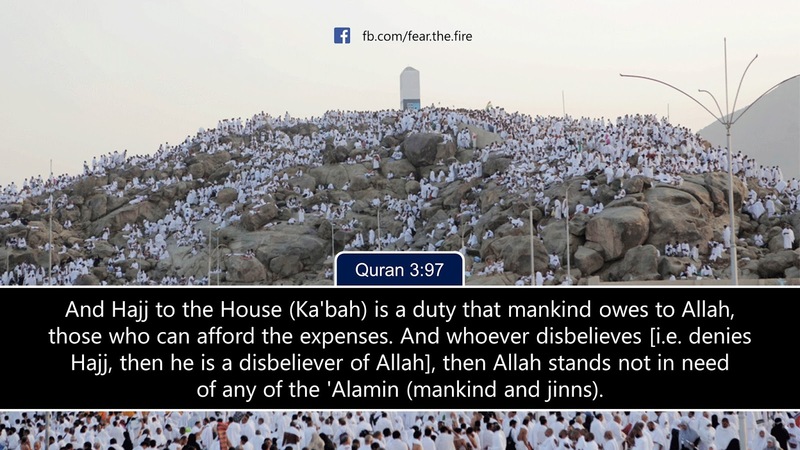 The Islamic ruling says, as soon as one can afford the cheapest most basic package, hajj becomes fard upon them. Others can afford a package, but as the package includes a hotel which is far from the Al-Haram, they are not able to read all five Salah in Al-Haram. This does not justify delaying the hajj. Remember, as long as the five days of hajj are part of the package, hajj will be fard upon them. Some do not go for hajj on the pretext that they are not yet ready to change their lives. Such a thought is from Shaytān. Do we think the same when it comes to reading Salah or paying zakāh? And if this is the case, then change your life, for it is obligatory anyway! Moreover, In sha Allah, through the barakah of hajj, the life will change for the better. Some go to the other extreme and have resolved to change their lives, but make comments such as, ‘My Īmān is not yet strong enough and I need to build on my Īmān.’ This thought too is from Shaytān. Hajj is a very important fundamental which helps to make one’s Īmān stronger. 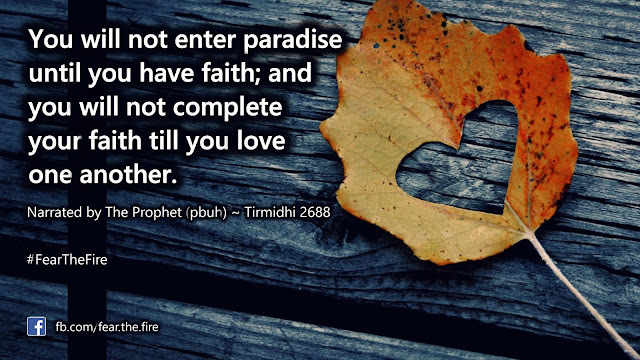 It is the fifth pillar of Islam. Plus no one can guarantee if they are going to live next day. All the more reason for a Muslim to fulfill this obligation. The character of a good Muslim is that he submits his will to Allah. 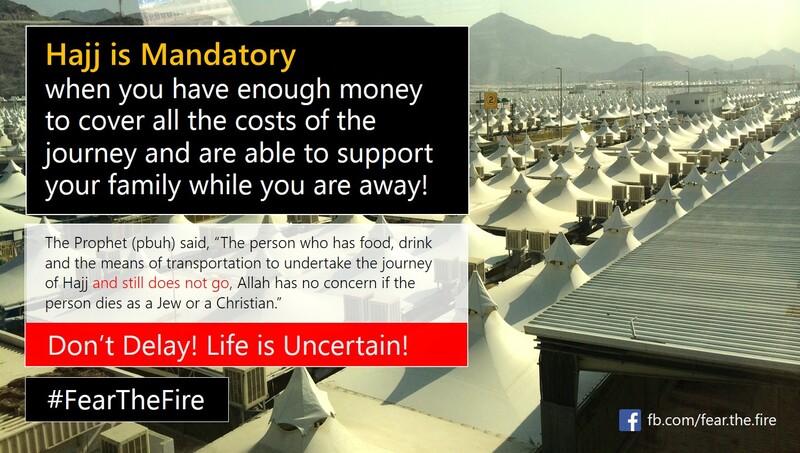 Intending to go for hajj? Refer to this article - Hajj Rituals Simplified in One Page.